did this building have two stories? do you have any old photos of this site? bdv hasn't added their expansion site plan to their website, but it sounds like it will be great. when is durham going to build the new bus station? do you have any photos of the renovation of the venerable business neighbor building where the independent will be living in the future? it is looking GOOD. You know, I go through that Main St./loop intersection almost every day. I either forgot or never noticed how ugly that addition was until it was torn down. :) It seems the revealed brickwork looks fractionallly different from the other decorative brickwork on the L&M buildings nearby: just another nice thing to notice. I didn't realize how big it was either until I saw your pictures. Its odd shape (to fit next to the RR tracks) probably made it seem smaller. From Google Maps's aerial view, I'd guess it's maybe 70% of the area of the adjoining structure? I looked more closely at the brickwork last night: I was walking by there anyway. It was night, and I didn't walk onto the lot far, but the brickwork is actually pretty similar to what's on the Main St. face. It's still a heck of a lot better looking than what was covering it up. :) I wonder what they'll do to those loading bays on the opposite side of the building? To answer a few of your questions, the Walker Warehouse (after the partial demolition)is about 30,000 square feet and will be used for retail space. The loading bays will be storefront glass/doors and they are currently building the terrace along the front 2/3 of the NW side of the building. We plan to have restaurants and hopefully a small grocery store in the Walker building if we can make that happen - not an easy task. Thanks for stopping by and providing more info on the project - sounds exciting. I know we'd all love to have a grocery store down here. I plan to update this post soon with some new pictures. 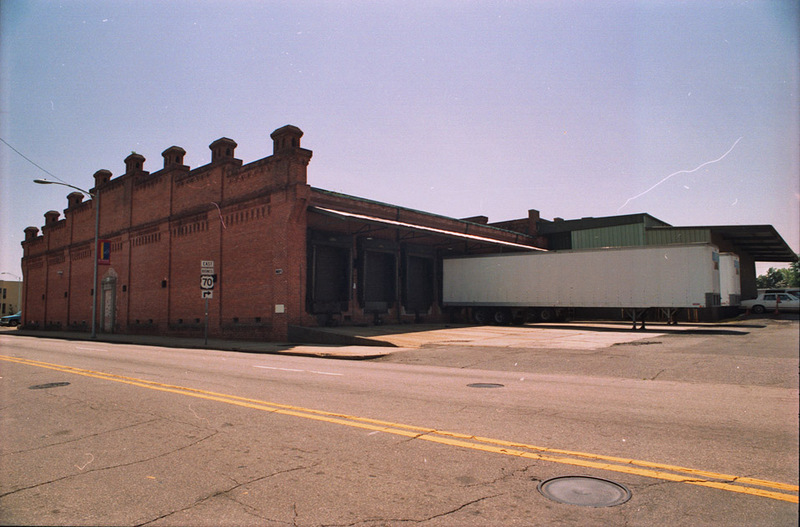 The Walker Warehouse, built in 1897, was the first of the parapet/chimney Italianate style brick warehouses to be built in Durham, and would be used as a model for multiple others, including the Watts and Yuille warehouses, the Toms and Hicks warehouses and the Hill Warehouse at American Tobacco. 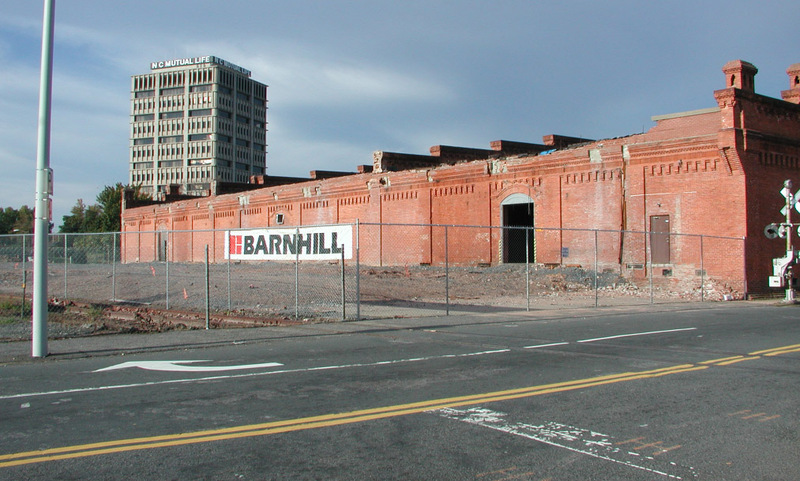 As of August 2006, Blue Devil Ventures (the owner) was the process of knocking down the 1950s addition on the east side of the warehouse, thus re-exposing the original brick side. 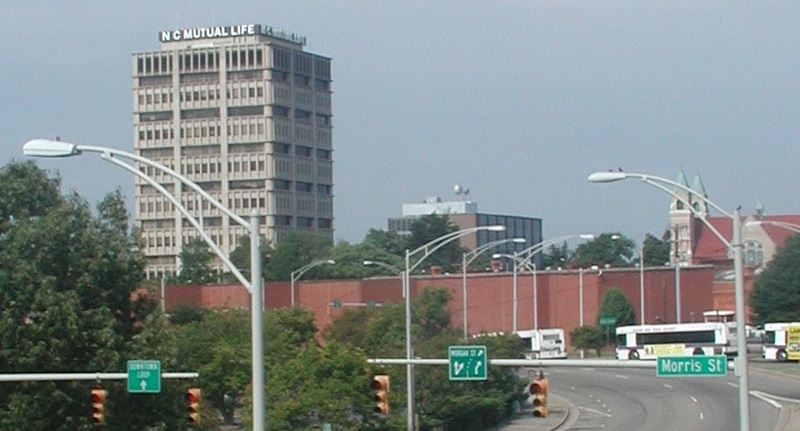 For those who don't know, BDV began their adaptive reuse project to reddevelop the former Liggett-Myers company complex in July 2006. 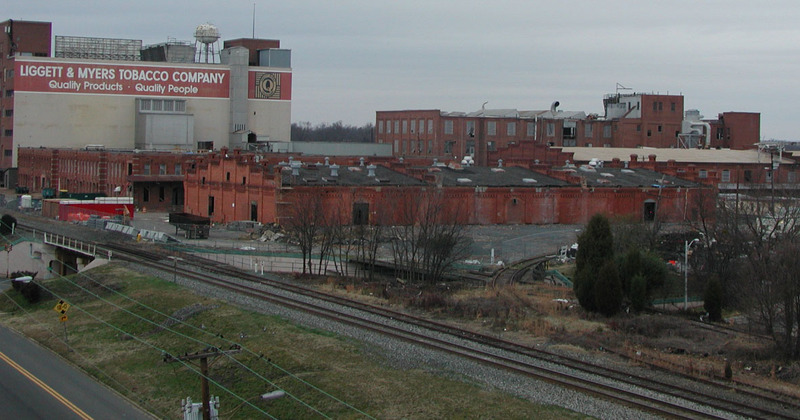 The Walker Warehouse appears to shell-complete, and it also appears that, after it appeared that there would be parting of the ways between NC Railroad and BDP, that Walker is again slated to house the new Amtrak station.